Rebecca Lily launched her fifth Pro Set a few weeks ago, kicking me off on a tear of re-editing old photos. I’ve applauded Rebecca Lily’s work quite often in the past — both on here and on Instagram — and Pro Set V is no different. The jumpstart of inspiration has mostly been manifested on my Instagram feed, however. Instagram has evolved over the years, largely becoming a stage for advertising, sponsorship, and other blights, but there’s still quite a large contingent of genuinely great photography. The creativity on display is nothing short of extraordinary. As a result, I still enjoy dipping my toe in from time to time. Instagram can’t have all the love though. Here’s one of my favourite re-edits using Rebecca Lily’s Pro Set V.
Pro Set V - Color - 88. Sony a7II + Zeiss Batis 85mm f/1.8. Click here for high res. 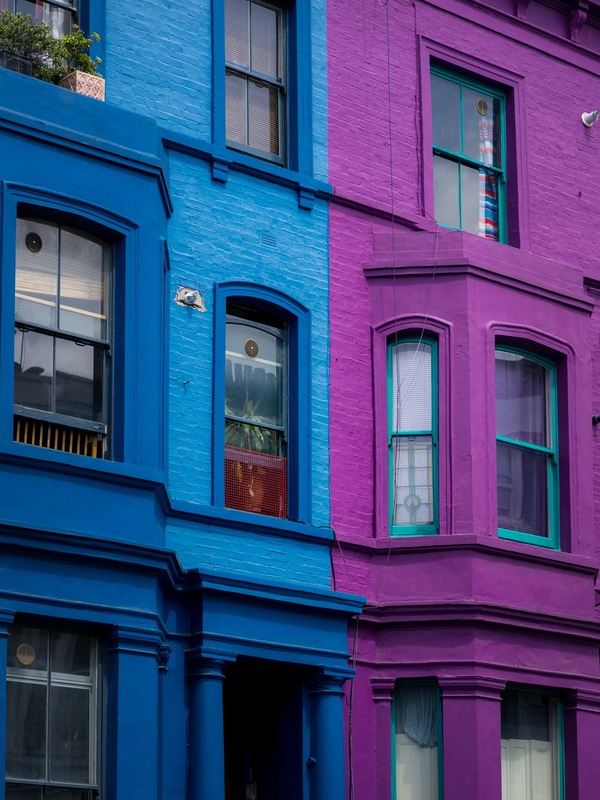 Notting Hill is known across the world for its remarkable gallery of colour and vibrancy. I’d never have the guts to paint my home these colours, but these homes sure have a way of catching your attention.